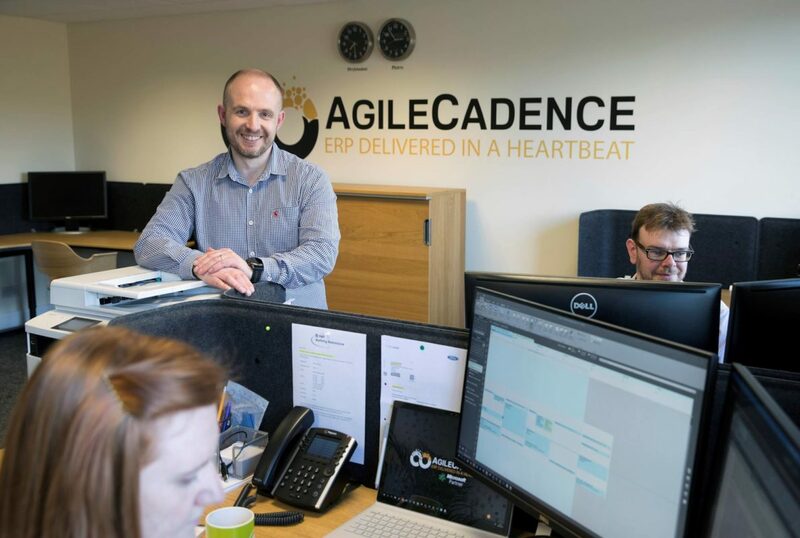 When AgileCadence were looking to relocate their business, they chose the King James VI Business Centre due to the fantastic central location and excellent facilities. The team are passionate about helping businesses to succeed by improving their Application Lifecycle Management processes and DevOps capabilities. A Microsoft partner, and working with industry leaders such as Dell, AgileCadence take businesses to the next step in automation and quality, reducing time and cost and increasing the effectiveness of the chosen line-of-business application. As you would expect from a global IT company, strong connectivity and access to superfast broadband was an essential requirement for AgileCadence. As a rapidly expanding business they were also looking for premises that would provide potential to expand. Castlecroft provided AgileCadence with 1070 sq ft of serviced office space for their team of twelve. With high speed broadband, and state of the art telecoms already installed, they were ready for business from the moment they moved in. Situated in the heart of Perth’s thriving business district, their office benefits from free parking for staff and clients and is ideally placed to access both the city centre and the motorway network. “We’ve got a wonderful working environment here. The modern building and friendly reception staff help ensure a professional appearance for visiting clients, and they are very impressed by our fantastic view of the River Tay and Kinnoull Hill. Believe it or not we regularly spot otters, seals and herons in the river, right outside our window. This entry was posted in Case Study, News and tagged Agile Cadence, Case Study.